The Gallivan House, at 776 Washington Street, was constructed in 1930 as a wedding present! 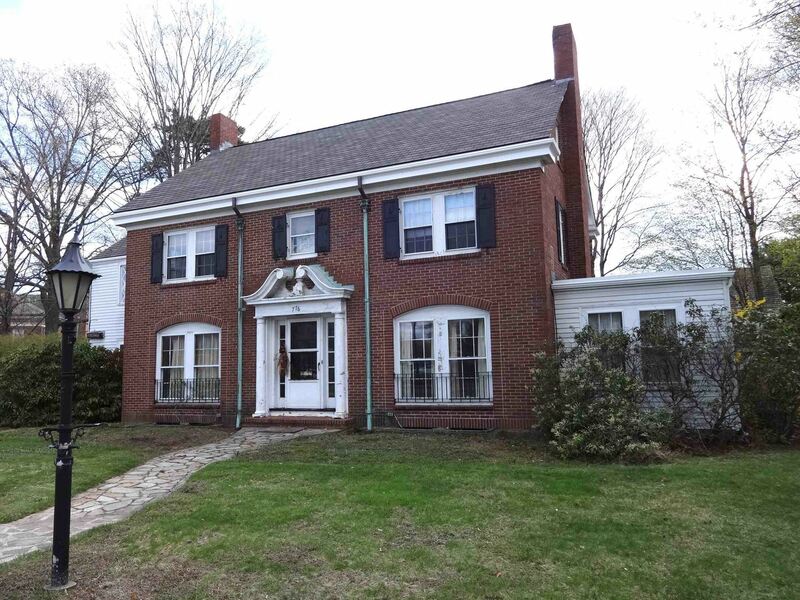 This handsome brick, center entrance colonial home was built for Dr. John J. Gallivan (1898-1980), a prominent Braintree physician, as a home for himself and his wife, and Dorothy W. (Dee) Gallivan (1908-1997). Its cost was the then princely sum of $7,500. Dr. and Mrs. Gallivan were both Braintree natives. They attended Braintree schools as young children, and were graduates of Thayer Academy. She went on to the New England Conservatory, and he graduated from Boston College and Tufts Medical School. A veteran of World War I, Dr. Gallivan conducted a very active general medical practice. He also served on the staff of South Shore Hospital and St. Elizabeth’s Hospital in Brighton, and was the Assistant Medical Examiner of Norfolk County. It is said that he delivered about 3,500 babies. Dr. Gallivan was also active in the community. He was a member of The Rotary Club and Knights of Columbus, both in Braintree, and served on the Draft Board in Braintree during World War II. Earlier, he had played semi-pro baseball for the Braintree White Sox, and the Cape Cod League during the summer. Dr. Gallivan’s medical practice was carried on in facilities on the first floor of the house. He and his wife, and eventually three children, lived on the second floor and used the commodious kitchen, dining, and other living areas on the first floor not required for his medical office and waiting area. There is also a small bedroom and large closet on the third floor. The Gallivan family occupied the house from 1931 to the 1960s. It was subsequently acquired by a dental specialist for his practice and residence. The house was purchased by the Braintree Historical Society in 2005. Currently, the building is not open to the public. The Historical Society is planning to conduct a Capital Campaign to raise funds to fully renovate the upstairs apartment, whose rent will supplement the Society's Operating Budget. It is also planned to renovate the main floor of the house so that it can be shown shown as a fine example of an upscale suburban home and doctor’s office of its period, and will allow for rental meeting room space as well as space for exhibitions and programs that can serve the community.